The objective behind the House System is to inculcate a spirit of excellence amidst healthy competition among students of different houses thereby fabricating strong individualistic traits in each student. Each House is headed by the Captain and Prefects. A member of the teaching staff is in-charge of a particular House. He/she is called the House Master. He/she leads the House with the help of the teachers belonging to the corresponding House. 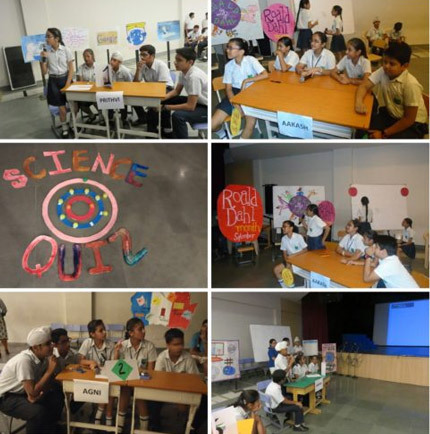 Inter House competitions are organised in various sports and co-curricular activities. The House system fosters a spirit of co-operation and healthy competition. A running trophy is awarded to the House that gains maximum points in that year. Academics, Sports and Co-curricular activities contribute points towards winning the running trophy.